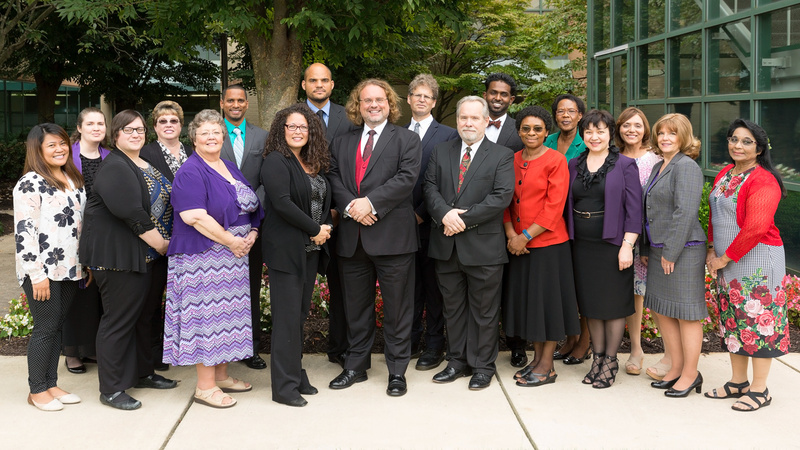 From left to right: Muriel Bello, Lisa Rasmussen, Ashlee Chism, Patricia Brauer, Rowena Moore, Kenrie Hylton, Reiko Davis, Benjamin Baker, David Trim, Alan Hecht, Roy Kline, Joel Nuthalapati, Rosette Kibuuka, Anne Muganda, Galina Stele, Magela DeSouza, Kathleen Jones, Jaya Singh. The Office of Archives, Statistics, and Research (ASTR) is located at the world headquarters of the General Conference (GC) of Seventh-day Adventists just outside of Washington, D.C., in Silver Spring, Maryland, USA. ASTR has its origins in 1904, in the appointment of a GC Statistical Secretary. That office took over production of the Seventh-day Adventist Yearbook, as well as the Annual Statistical Report, and until the 1950s also provided part of the recording staff for General Conference Sessions. In 1973, the General Conference Archives was founded and in 1975, the Archives and Record Center was combined with the department of the Statistical Secretary to form the Office of Archives and Statistics. In 2011, the department was renamed the Office of Archives, Statistics, and Research; it was given part of the function of the discontinued Office of Assessment and Program Effectiveness as well as a new responsibility for analysis. ASTR serves as the official records center and archives of the world headquarters and the North American Division. ASTR also conducts research projects for the General Conference administration; evaluates General Conference departments and agencies; produces the denomination's Yearbook and Annual Statistical Report; and provides other information on the suite of websites accessible from www.adventistarchives.org. ASTR is located in the lower level of the headquarters complex, and includes a fireproof, climate-controlled vault, as well as satellite and off-site storage; a research center and library; and staff offices.